In 2015 Buhari promised to create 3 million jobs every year. Since 2015 Nigeria has lost 11 million jobs. I have years of experience creating jobs in energy, healthcare, education and agriculture. Create millions of job opportunities in the private sector annually. Encourage and foster business creation with National Entrepreneurship Development and Job Creation Programme. Provide specific finance and strategic support for job creation in the entertainment industry. Transform the culture and tourism sectors into one of the big earners of foreign exchange and job creation. Increase private investments in road and rail construction, water supply and sanitation, power and oil refining. Create Technology Support Programme to assist technological innovation and youth focused technology based job creation. Since 2015 Nigeria’s power generation remains stuck at 4,000MW. Roads are in disrepair and our people struggle with water and sanitation. When I was Vice President 1999-2007, I increased the power supply, built roads, and provided water and sewers to areas previously without. Create more jobs by increasing private investments in road and rail construction, water supply and sanitation, power and oil refining. Reform power sector with goal of producing 20,000 megawatts by 2030 and 50,000MW by 2050. Create Special Infrastructure Office to help speed construction and implementation. Using private sector, establish an Infrastructure Debt Fund [IDF] with an initial funding of US$20b, mobilizing domestic and international private resources to finance and deliver large projects across all sectors of the economy. Private sector investment refineries in the northern parts of the country, increase oil refining and oil products from under 0.5% to 2% of GDP. Construct up to 5,000km of modern railways through privatization, PPPs, and public investments. More than double investment funding from 15% to 35% of GDP. License mini-grids, including solar, as solutions for power generation. Since 2015 Buhari has refused to take any action to restructure the government. Osinbajo recently said “restructuring was no solution”. I have since 2004 called and worked for restructuring the government as a fundamental necessity for Nigeria’s future. In one hundred days put in place a National Committee for the Devolution of Powers. Amend constitution to allow greater powers for states and local governments. Relocate the Niger Delta Ministry from Abuja to the Delta making it closer to stakeholders and beneficiaries. Nigeria’s common resources will be shared equitably in accordance with new negotiated agreements. Since 2015 farmers have been thrown into poverty and hunger has increased. Recently it was announced that Nigeria has become the second biggest importer of rice in the world. I have been a successful commercial farmer for over thirty years. Build farm to market roads. Improve farming with modernisation and mechanisation of small-scale agriculture. Transform our agricultural sector into a viable enterprise creating rural wealth and prosperity for our farmers. Invest in local Agric-processing clusters by offering concessional financing, tax breaks and seed funding. Through NIRSAL, improve agriculture sector’s access to financial services, securing lending to the sector with commercial and development finance institutions. Review import duty on machinery and equipment for agricultural processing and for export production. Since 2015 insecurity has grown in Nigeria. Boko Haram still terrorizes the North East. Farmers have come under continual attack in the North Central, and long-term peace in the Delta still has not been achieved. As Vice President 1999-2007, I worked to provide security across Nigeria. Conduct a complete overhaul and restructuring, including some state supervision, of security agencies, promoting better cooperation and increasing effectiveness. Develop and implement a security master plan including security architecture overhaul and greater border control collaboration with neighbouring countries. Use alternative approaches to conflict resolution, such as diplomacy, intelligence, improved border control, traditional institutions, and good neighbourliness. In my first one hundred days establish and operationalise the North East Commission for Rehabilitation, Reconstruction and Development. Nigeria has one doctor for every 6,000 Nigerians, far below World Health Organization recommendations. About 30,000 Nigerians spend $1 billion on medical tourism annually in Europe. I have started and grown a number of my own healthcare businesses. Restructure and grow the health system with greater role for states in achieving universal access to affordable and quality healthcare services for all. Encourage medium and large scale pharmaceutical industries for the local production of essential drugs. Value our healthcare professionals and return Nigerian doctors in the diaspora to reverse the brain-drain. Nigeria has more than 13 million children that are out of school, which accounts for 47% of the out-of-school population in the world. I have many years of experience in education, including founding The American University of Nigeria in Adamawa. Develop from pre-school to university an all-inclusive nationwide educational system with a focus on young girls and special needs students. Utilise technical colleges and vocational schools to produce skills and competencies for innovation and idea creation. Develop and promote science and technical education to create skills for the new economy. Nigerian youth and women face disproportionate social, economic and political barriers preventing them from unleashing their full potential. Unemployment for women and young people is at 33%. I was raised by a single mother. I believe youth and women must be provided jobs, education, and security. Increase the number of government appointments made to young people and women to 40%. Target youth, including graduates, early school leavers, and the massive numbers of uneducated youth not in schools for employment or training. Provide microfinance and financing schemes specifically targeted at youth and women. Technology is the foundation of a 21st century economy. Nigeria must undergo a mass scale technological revolution to bring power, education, healthcare and create jobs for every Nigerian. 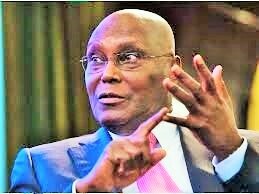 As Vice-President, I helped initiate the telecom revolution which in just over a decade saw us grow from 100,000 to 100 million phones in Nigeria. Establish Presidential Data Integration Committee to make government more efficient and help reduce economic and financial crimes. Help fight corruption through a strong technology infrastructure supporting government businesses for transparency, accountability, efficiency and effectiveness. Nigeria was once looked at as Africa’s leader in global affairs. Today, global leadership in politics and the economy are essential. I have a lifetime experience of working with African and global leaders in both politics and business. Reconstitute Presidential Advisory Council on Foreign Affairs. Place in diplomatic positions reputable and well-known Nigerians to be in the forefront of regaining the confidence and respect of the international community. Convene an All-Nigerian Conference on foreign policy, promoting national consensus to guide our foreign policy. Encourage foreign investment, including creation of the Office of Diaspora Professional Investment.